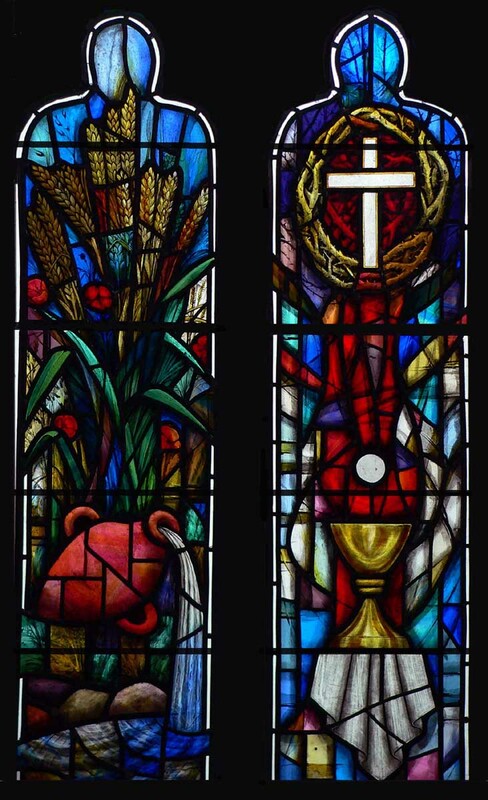 So different areas of the window represent different aspects of the life of St Francis. 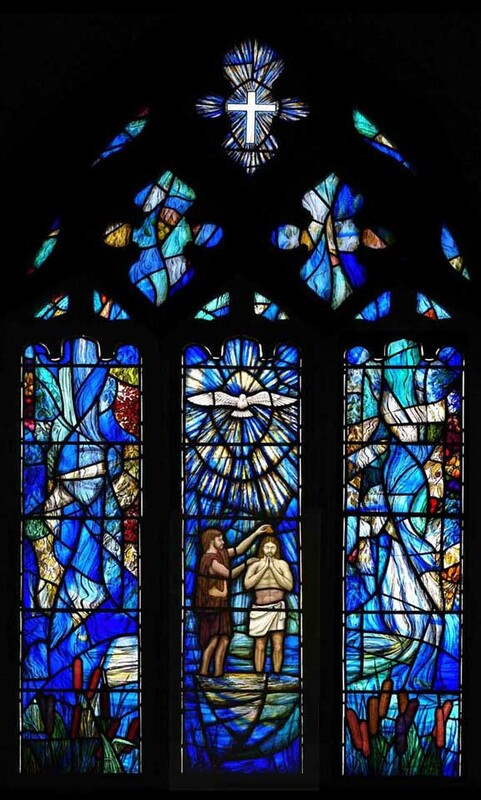 In this window depicting the Baptism of Christ by St John, the glass has been painted and etched to suggest foliage, trees bearing fruits and cascading water. The idea was to create an impression of the Bountiful richness of a desert oasis. The spirit of the Holy Ghost is depicted in the centre, "like a Dove" hovering above the figures. Silver stain have been applied and fired on the back of the glass to produce yellows, golds which create subtle greens under the blue flashed glass.